Since so many artists use Apple hardware and software, I thought you might all like to see a list of the updates and new things Apple announced at their event yesterday. You can watch the entire thing via this link as well. iTranslate — speak into the mic and hear translations in over 90 languages. Physician app AirStrip can monitor vitals. New band options, two new finishes gold and rose gold. Watch OS 2 comes out September 16.
iPad Pro announced: Screen is 12.9 inches, 5.6m pixels, A9X chip, with 2x memory bandwidth, storage and graphics performance, 10-hour battery life, 8MP camera, 802.11ac with MIMO, 150Mbps LTE modem, TouchID, 6.9mm thick and 1.57 pounds. Corporate VP from MS Office, Kirk Koenigsbauer talks Microsoft Office for iPad. New suite of Adobe apps. Apple Pencil is $99 and Smart Keyboard is $169, all available in November. New iPad mini 4 $399. New remote with glass touch surface. 10mm tall, A8 chip, Bluetooth 4.0. Built-in accelerometer and gyroscope, 3 months per charge, charges over lightning. 32GB for $149, 64GB for $199. iTunes, Netflix, Hulu, HBO, and Showtime are searchable. New cleaner looking UI with Siri integration. new games and game collections for the family, using your iPhone or iPod Touch as a controller. MLB app, NHL Game Center live in 2016.
tvOS developer beta available today, available to consumers in late October. iPhone 6S and 6S Plus, Silver, gold, space grey, and new Rose Gold. 4.7-inch 6S and 5.5-inch 6S+. 3rd-generation A9 chip 70% faster CPU than A8, 90% faster GPU than A8. New Siri feature allows you to speak to your iPhone whether you’re powered on or not. New 12 megapixel iSight camera. 50% more pixels and 50% more focus pixels for faster autofocus. Retina Flash, display can light up 3X brighter than usual to be a flash for the front-facing camera. Live Photos: Press with 3D Touch and pictures will move. iPhone 6 $199-$399, iPhone 6 Plus $299-$499 all on two-year contracts. New iPhone Upgrade Program for a new iPhone every year, choose your carrier, unlocked phones, 24-month installment plan starting at $32/month. preorder Saturday, Sept 12. Available September 25th. iOS 9 available September 16th. New iCloud storage pricing: 50GB for 99 cents a month, 200GB for $2.99/mo, 1TB for $9.99/mo. 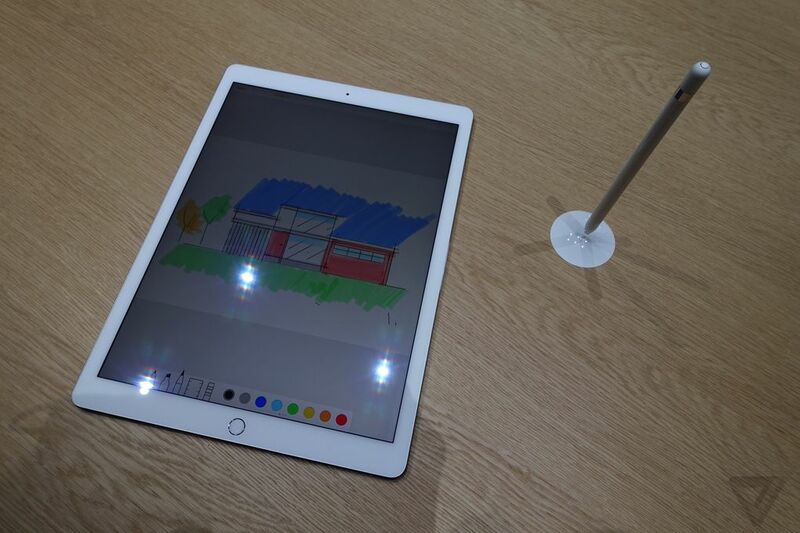 Apple iPad Pro with a stylus this Fall? Apple Insider is reporting that Apple may finally be unveiling an iPad with a stylus. Apparently the device will be called the iPad Pro and is currently being beta tested as we speak. This is not the first time we’ve heard this rumor but recently Apple filed for a new patent concerning a stylus and that seems to have renewed excitement for a stylus enabled Apple device. AppleInsider’s own sources have indicated that the company is working on a 12.9-inch tablet, known colloquially as an “iPad Pro,” that will feature a Bluetooth-connected stylus. Separately, analyst Ming-Chi Kuo of KGI Securities has said that Apple plans to launch the larger iPad with a simple stylus this year, while more advanced features such as 3D handwriting, are unlikely to arrive until next year at the earliest, with a new and more advanced stylus. This week’s patent application is far from the first filing by Apple revealing the company’s behind-the-scenes interest in developing a stylus. One concept detailed by AppleInsider last year included anextendable multitouch nib with onboard light and motion sensors, while another stylus patent published earlier this year described once again how a stylus can offer more precise input than a fingertip. News: Apple’s Next Hit Will Be a Surface Pro 3 Clone? Bloomberg is reporting that Apple’s next big product will be a tablet with a stylus something Mac artists have been salivating over for many years. They point to a number of factors, one being the success of Microsoft’s Surface Pro 3 as well as Samsung’s stylus pen line such as the Note 2, Note 4 Note 10.1 as well as the Note Pro 12. Samsung debuted its first, much maligned and hugely successful Galaxy Note — the first phone with a bigger-than-5-inch screen — in September, 2011. For two years afterwards, Apple was content to present incremental improvements to the iPhone. Compared with the iPhone 5, the iPhone 5s just added a fingerprint sensor and an improved camera (plus a few other features that most consumers didn’t care about). Meanwhile Apple carefully observed the “phablet” market, watched other handset makers follow Samsung’s example and erode its market share, and experimented with ways to make a big phone easier to navigate one-handed. It struck just when Samsung started posting lower profits, because of the increased competitive pressure. This time it isn’t a Samsung product Apple is watching, but Microsoft’s Surface Pro. Another article from back in January over at Business Week states that Apple has filed for patents using a stylus in conjunction with a tablet. Interesting! I think it would be in Apple’s best interest to create a product like this considering their biggest announcement this season was a higher resolution screen and some thinner iPads. Bleh. An Apple tablet with a stylus would blow the doors off of the Mac line and it’s likely set everyone into a fever pitch about styluses something us artists would love to see happen. What do you think? 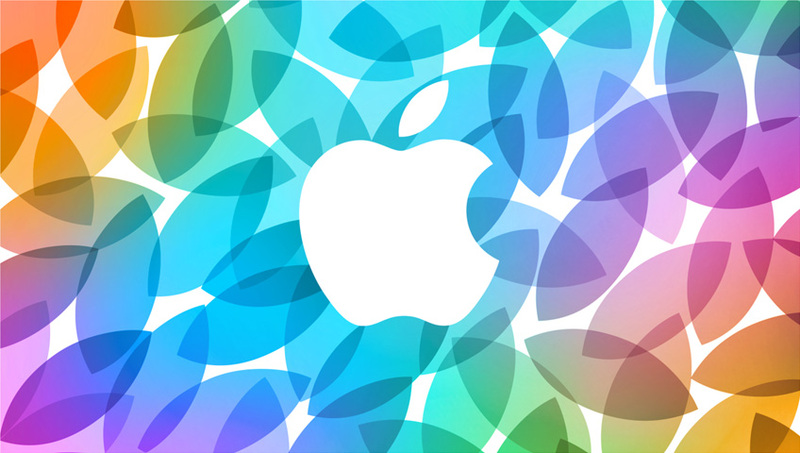 Would you like to see Apple finally come out with a Tablet?